A Case Study: Full Service Engineering, WickWerks Chainrings, Bicycle Components, new Products, Innovations, and the riders that tested them. 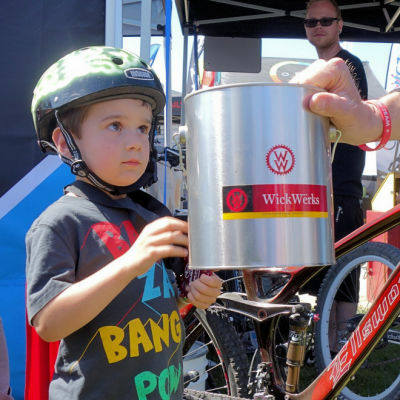 The customer, WickWerks LLC, had some good ideas for higher performing cycling components. They had prototypes and were selling very small volumes of beta-level chainrings. When we first met, the owner was struggling with several details keeping them from a production level product. They needed engineering assistance, and they needed product development experience. Enter Synthesis. A few months after starting the contract, we produced a first generation of ‘production like’ prototypes. These 10 alpha’s were given to skilled cyclists to test — including previous National Champions (2) and several professionals. The plan was to ride them for a week, then gather them back to evaluate wear patterns and function. It all went well, except for 2 athletes: Katie Compton, a multi-National Champion, was reluctant at first, but after a week of riding, didn’t want to give them back. The other rider expressed similar feelings. At this point I knew we had something. Fast forward through the prototype levels and other testing … and Synthesis successfully helped launched production. 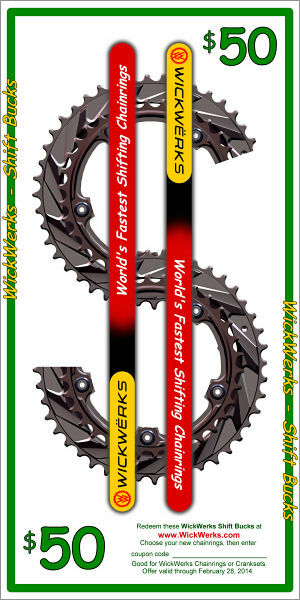 This put WickWerks on the map, and they began selling chainrings. 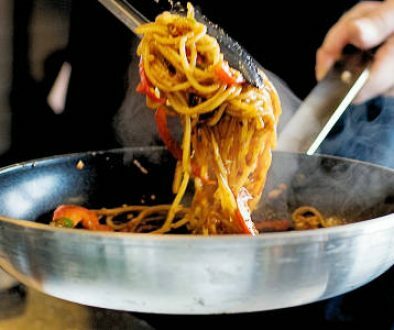 The Full Service portion of the story begins here. The original contract included engineering and design. However, the project pretty quickly expanded to include prototyping, then testing and evaluation. Not a problem, we do that kind of thing all the time. Once the designs were complete, we found WickWerks did not have a manufacturing source, nor did they have experience, so Synthesis found and qualified sources (like machining, anodizing, and laser etch). Along the way, we also managed negotiations and all the production hurdles. We even designed the fixtures and production tools for the unique tasks. Again, something we’ve done many times, so we were happy to help. In the meantime, it became apparent that WickWerks did not have the skills or resources to effectively sell the chainrings. They had a website that looked good, but lacked functionality. So, with somewhat limited skill, Synthesis gradually took over the website and marketing too. It’s not like they were unprepared, there were organizational hiccups that prompted this. So, to assist the owner, so we did what we could with the website. Though marketing and sales are not engineering skills, we did OK — almost doubling sales each year that we did the marketing. And, of course, the engineering side snuck into the marketing. It’s in the cool promotion like this racing feature fans love. As demand rose, we were asked to set up manufacturing in Taiwan. That is daunting for any organization, but with our connections and experience, we were able to accomplish it. I say we, but it was more than just Synthesis. Our friends in Taiwan really helped in making it happen. Creativity was in it from the start. The ramp technology that makes the chainrings famous was started by WickWerks, and perfected at Synthesis. Each product we designed also included new technology that makes them uniquely WickWerks (it’s the Synthesis signature). We did a lot of things that other people said wouldn’t work. We produced chainrings that shift in nasty conditions where others won’t. The Road Bike Ultra Wide shattered the rules Shimano said for years — and it outperforms the best Shimano in almost every way. The success is not by accident. Another Synthesis invention, The Juniors Solution broke ground for young riders that have been largely ignored by the bicycle industry. It gives a much improved race setup which is lighter, shifts better, and is easier to retrofit onto a new bike. A creative new Dual Side Chain Watcher was invented at Synthesis, then first publicly used at the Tour de France, 2016, by the LOTTO NL – JUMBO (TLJ) team. The product immediately sold out, (but they have more now). Expanded Capability. 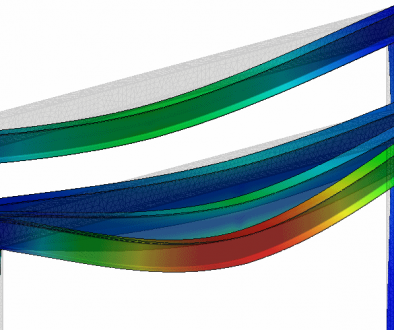 We provided engineering & design services from the start in fluctuating waves as they needed it. At first, it was a little here, and a little there. It kept them from having the overhead of hiring full time engineering staff when they weren’t really ready it. Skill & Experience. Synthesis has years of experience in many industries and lots of connections to get things done. Our broad reach with product development into many different industries and markets over the years gives a wide perspective, and rich experience. Flexibility to handle, well, almost anything they threw at us — even the tasks where we don’t specialize — like website building, trade shows, marketing, advertising, graphics design, video production, and sales. — This is the Full in Full service engineering. Innovative Creativity. Our work yielded several patents. Many have issued already, and (at the time of writing) several more are pending. This intellectual property now gives the company a much greater value than just the products. When you hire Synthesis, you also get the creative thinking and innovation in design that goes well beyond the norm. If you’d like to see a portion of what Synthesis was able to accomplish at WickWerks, look at their website. We built the site, wrote almost all the content on it, designed & developed all of their products, made the videos, made most of the images, etc.. This is truly the Full Service Engineering Case Study. Working with the amazing sponsored athletes was one of the best parts of WickWerks. As we attended (and promoted) at many events, it was a privilege to work with and get to know them. Many good feedback moments came because we were there. This is, I think, something missing in a lot of R&D — that of getting accurate, unfiltered feedback. It’s something that definitely improved the WickWerks chainrings. Getting our hands into all aspects of the projects is another part we enjoy. In this case, the engineering and functional aesthetics were just the start. We also took the designs through prototyping, testing, validation — then managed production. But it was even more because we designed the packaging, sourced or did all the graphic design, and more — to make the products complete. It’s very rewarding to have someone (Katie Compton) win the World Cup, in part, using your engineering. (Not to mention the many National Championship titles won by various riders in several countries.) It’s fun to see super positive articles written about your work, and to go against the grain of the “Traditional Knowledge” to do great things other respected engineers said were impossible. For all of this, and more, we say Thank You! It’s good to look back and analyze. WickWerks is progressing on their own now, like we want. Yet, it could have been faster with more success, we think, if a few key things happened. First, (so important with startups): Skills and talents for inventing are different than those to run a business. For WickWerks, the lack of business sense was identified early, but nothing was done to overcome it. (That’s a part of Full Service Engineering they would not let us help with.) Unfortunately, the consequences of ignoring it show. Hopefully WickWerks gets a handle on that. Second, (almost as important), is Marketing. The saying — “If you build it, they will come” is a HUGE fallacy. There is no excuse for not dedicating time, talent and resources for marketing. Synthesis did most of the marketing for a few years with moderate success. However, when WickWerks took over, marketing nearly stopped, and so did sales growth. This is truly sad. Third is Teamwork. At Synthesis we work as a team. We gather to discuss progress and assimilate ideas. We prefer (at least weekly) meetings with customers for their input, because it’s hard to progress without it. These did happen, but not frequently and not usually in a spirit of collaboration. I believe customer leadership, including planning, would have made progress much more effective. 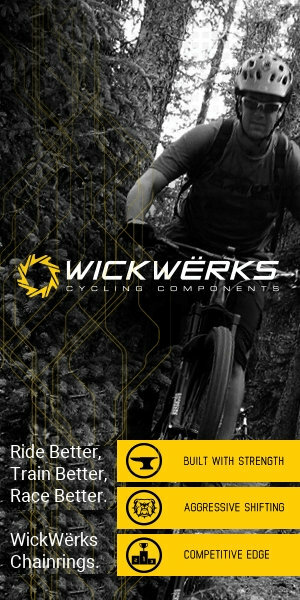 There is so much more to say about the good things at WickWerks, but most is already in the many articles of bicycle industry publications and WickWerks.com. Please, read about the awesome products from customer reviews, professional cyclists, and the cycling media. 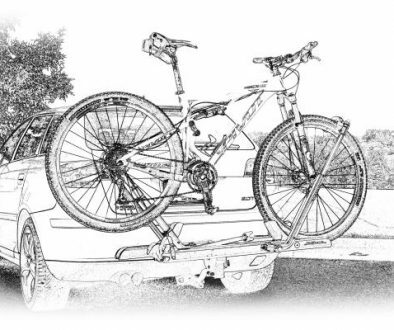 If you ride, you really should try the shifting. On a personal standpoint, I’m a cyclist, and that makes the success with these cycling products twice as satisfying. And, the full immersion is totally fun. At Synthesis, we’re quite proud of the products that came from our Full, Full Service Engineering at WickWerks. We continue to use them daily. Are you ready to have us help with your next project? We don’t promise patents, but we do promise the Full Service Engineering spirit for whatever you may need us to do. Presentation From Startup Week Case Study: Mechanical Forensic Analysis – What Went Wrong?